SHENANDOAH, Virginia — Ripping around broad benders on Skyline Drive, which traces a ridge route high above the Shenandoah Valley, this big sedan behaves itself, its rear wheels throwing muscle into each turn as tires claw for traction on a blacktop surface. Slip that shift lever down a notch through the manual mode and a supercharged engine whines in braking before the next turn. Now ease throttle after the apex and exit cleanly before punching it into the straightaway. Then hold on tight. This thing tracks like a cat through curves and soars when set free. 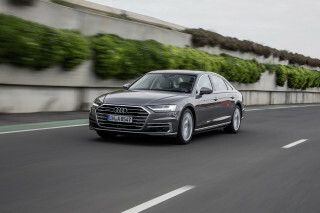 For a big car, and a supreme luxury liner at that, such sport-tinged elation is definitely not what's expected. However, pleasant surprises and driving excitement seem to come together with extensive luxury features heaped into a supercharged variation of Jaguar's XJ sedan, the XJR. All four of Jaguar’s full-size luxury machines in this series were revamped last year, then armed with the Jaguar V-8 engine which debuted in 1997 in the gorgeous XK8 coupe and convertible. 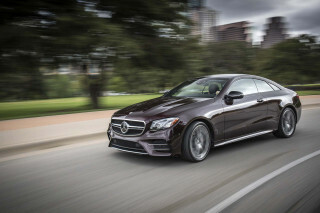 All four sedans also received a pleasing five-speed German electronic automatic transmission. All handle with more confidence, too, thanks to a stiffer chassis and revised front suspension components lifted from the XK8, along with subtle enhancements for the leather-lined passenger compartment. And all look absolutely stunning. One look at the sheet metal sections reveals smooth and contemporary contours yet hint at classic shapes from earlier Jaguars. 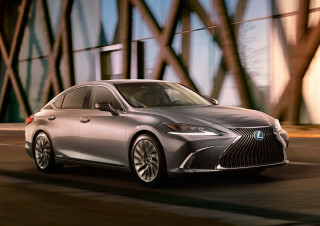 The signature round headlamps, offset by the horizontal slant of a bold chrome grille, mark each prow, as sensuous lines sweep rearward across a long hood and low roof to the definitive rounded tail. 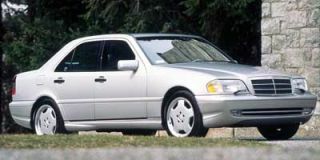 Jaguar's sedans are long enough to measure up to full-size dimensions, although the broad and low stance makes them appear slinky and aggressive. Inside, modifications include a curved dashboard and triple binnacles containing analog instruments, plus enough comfort fittings to please an English peer. Rich expanses of polished burled walnut decorate interior sections of doors, dash and console, and soft leather upholstery shows up in liberal applications, as does bright chrome on accessories such as door handles. These deluxe coaches also carry advanced safety systems, ranging from side-impact airbags to an automatic stability-control system linked to computerized anti-lock brakes. A stretched version, with 5 inches added to the wheelbase, provides more than generous rear-seat legroom under the badge of the XJ8-L. 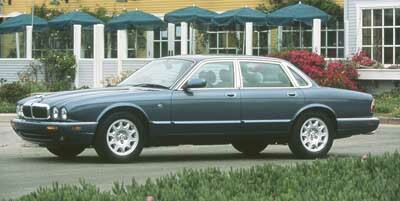 The Vanden Plas, Jaguar's dressy long version of an already luxurious XJ8-L, uses the wheelbase extension of the XJ8-L to create a pampered rear compartment for chauffeured riders. Rear occupants also receive individual heaters for seats and backrests with thermostatic controls, even folding picnic tables of burled walnut. 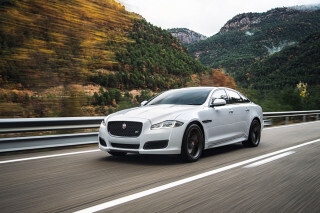 Yet the XJR, a sporty variation in Jaguar's XJ sedan series, promotes supercharged action from the eight-cylinder engine — and this edition with twin intercoolers thrusts output to a heady charge of 370 hp. 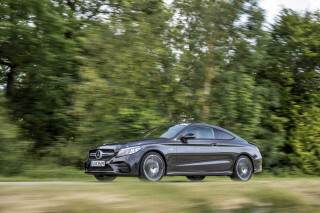 The beefed-up powerplant gets a special Mercedes-Benz five-speed automatic transmission to handle all of that engine torque, and there are stiff and sporty suspension settings in place, plus big wheels and Z-rated tires. 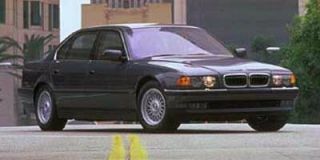 It's so fast (5.4 seconds from 0-60 mph), it can match a Ferrari F355. 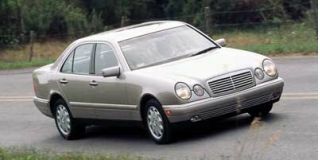 Try that in a Lexus LS 400. Dennis Scholes, Jaguar's chief program engineer, summarized the car's mission during a series of Virginia test drives when he recalled a concept goal: "We wanted the performance of a BMW combined with the luxury of a Lexus." The most significant changes effected last year in the XJ sedans concerned powertrain improvements with the V-8. Previously, all Jaguars packed engines with six or twelve cylinders, but the 4.0-liter, aluminum V-8 — with dual overhead cams and output of 290 hp — drops into all versions, save the supercharged XJR. 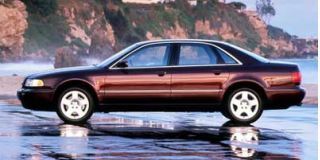 The result of a $230 million developmental investment by Ford after acquiring Jaguar in 1989, the V-8 was designed by Jaguar but built at a Ford factory in Wales. Ford's infusion of capital, production expertise, parts resourcing, and quality control has resulted in dramatic improvements at Jaguar in recent years. For instance, the labor required to assemble a product has been reduced drastically through the implementation of efficient assembly techniques and more reliance on robotics, while warranty repair costs — meaning things that go wrong with the vehicle — have dropped by more than half. Perhaps the more telling change comes from reports of customer satisfaction as measured through surveys by J. D. Power and Associates. In 1989, Jaguar ranked only 31 among all automakers in the index of satisfaction from customers, yet this year the brand has climbed to the top of list — above other ultraluxury labels like Lexus and Mercedes. In addition to its souped-up powertrain, the XJR has the type of mechanical components which create a sporty performer. The fully independent double-wishbone suspension uses an isolated aluminum front crossbeam, with unequal-length control arms arranged to provide anti-dive effect under braking. In back, an independent wishbone system incorporates the driveshaft acting as upper links and provides anti-lift when braking and anti-squat when accelerating. Structural concepts for this suspension stem directly from Jaguar's experience in constructing agile racing machines. Like racers, the XJR can cut a quick corner and hold a hard line through complicated movements but still dampen bumps and silence pavement chatter. Ride quality feels living-room smooth — and library quiet, preserving hallmarks of past Jaguars to isolate road noise and roughness, then tune out the outside world. 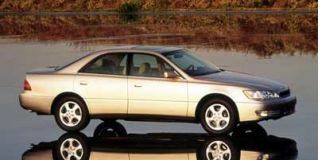 Speed-sensitive variable-assist power rack-and-pinion steering and four-wheel disc brakes with the computerized anti-lock controls enhance pavement maneuvers, and all XJ series sedans in 1999 issues received larger front brake rotors to improve their stopping power. Further, a stability-control system, which uses brake and throttle automatically to correct potentially dangerous yaw behavior, is in place. Of course, the luxurious elements of Jaguars remain in place. But it’s encouraging to see such a wholesale renovation of Jaguar’s brand image — and it’s truly thrilling to drive the ultimate evolution of that image as embodied in the XJR. This is my "Sunday" car which gets about 40 miles/week. Usually once?year I take it for a cruise to Upstate NY which usually adds another 1500 miles. Great highway car. It currently has about 81000 miles.